It has been 9 years since the first NetRunner Night, the little anniversary of the first time Tobie and I "officially" met. It was also the first time we had played a tabletop game together, in this case the original NetRunner C.C.G. It's a funny coincidence that this special day is just two days before Valentine's Day, the traditional day for celebrating love. But in all honesty, NetRunner night will always be more important and more romantic to us than February 14. We could have celebrated this evening with a fancy date somewhere or by catching a movie or any other traditional celebration. But in truth the most appropriate way to celebrate NetRunner Night is stay home and order Shakey's Pizza Bianca, as it was the pizza we had ordered during that first time we hung out together. 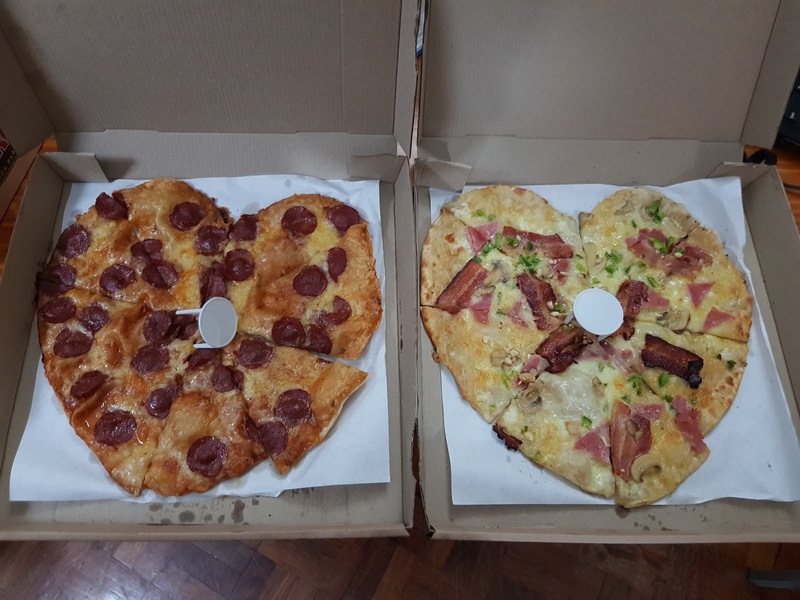 It's just a bonus that Shakey's have shaped all large and party size pizzas as hearts for the month of February. I love you Tobie. The Run continues.